An award winning film producer, director, and screenwriter. 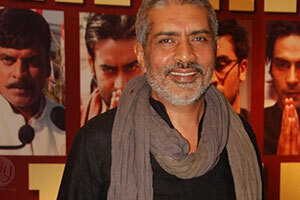 Prakash Jha is well known for his socio-political films such as Damul, Mrityudand, Gangaajal, Raajneeti, Aarakshan and Satyagraha. He is also a National Award winning documanitarian, winning accolades for Faces After The Storm and Sonal. This somber moral drama is taken from the story by Vijay Dan Detha. Ganeesh (Basanat Josalkar) is a potter who supports his wife and young son with his talents. The couple is delighted to be chosen to run an inn that caters to travelers and traders. Later, they are convinced by a caravan of wealthy traders to let their son be trained in the ways of business, and they sadly agree to allow him to seek a better future. The couple’s loneliness is eventually replaced with greed as they take to murdering and robbing their guests. Years later, they fail to recognized their own son when he checks in. The story is about a bonded laborer who is forced to steal for his landlord, to whom he is bonded until death. 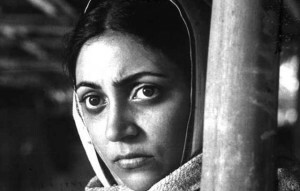 Set in rural Bihar of 1984, the film focuses on the caste politics and the oppression of the lower castes in the region, through bonded labor. The film also highlights the issue of heavy migration of the poor villagers of Bihar to richer states like Punjab in search of livelihood.